One of the primary use cases for Apple Configurator 1 and Apple Configurator 2 is to get apps on devices. 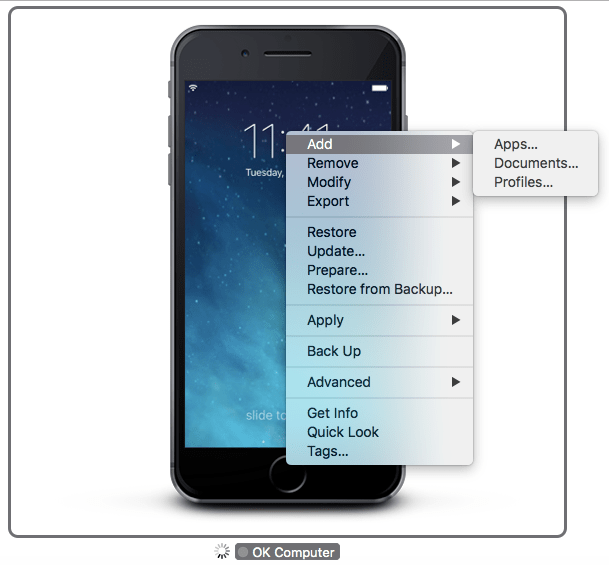 Even with MDM, you can use Apple Configurator 2 for app deployment. The value here might be that you end up transferring 10 gigs of apps over a USB cable, rather than over the air in larger deployments. 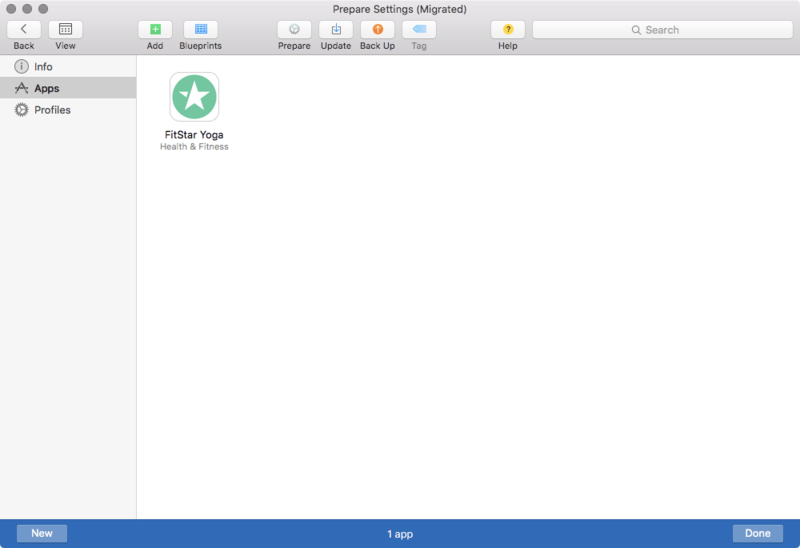 Here, we’ll look at a basic app deployment using Apple Configurator 2. To get started, first download the app and get it in iTunes. This can be accomplished by copying the .ipa file for an app onto a device, or syncing an iOS device with iTunes that has the app installed. Take care that the Apple ID associated with the app will be applied on the device. 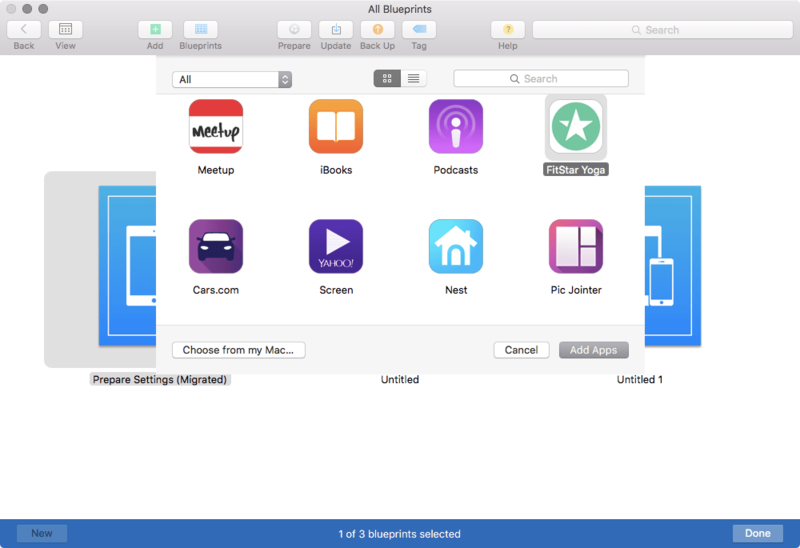 Then, open Apple Configurator 2 and choose a Blueprint (View -> Edit Blueprints) you’d like to apply, or deploy, this app to. Once uploaded and assigned, any device that you apply the Blueprint to will receive the app. Right-click on the Blueprint and click on Add and then choose Apps in the submenu. You will need to authenticate to the iTunes Store using an Apple ID. Notice that if you’ve previously connected Apple Configurator 2 to the iTunes Store that you will routinely get prompted to reconnect when the key expires (seems to be after a good 4 hours of inactivity, but not sure yet exactly when to expect – this might be a bit annoying for environments that have students that don’t have that password doing some of the work). The when you authenticate, you’ll be prompted for a list of apps to install. Here, we’re just going to choose some generic app and click on Add Apps (yes, that’s plural, you can choose more than one). The app will be listed. Any device the Blueprint is applied to then receives the app. You can also assign an app to a device manually. To do so, control-click (or right-click) on a device and then use Add to choose the Apps… option. The rest of this process is pretty much the same. Overall, these options are similar but a bit more matured than they were in Apple Configurator 1. 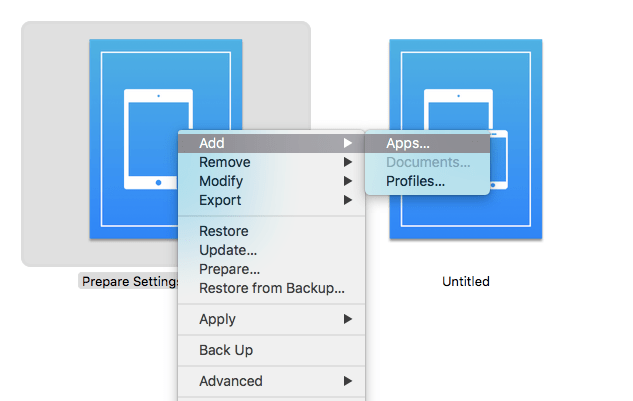 There are a few other pretty cool options that we’ll explore soon, but for now this should get you started in getting apps as a part of your Apple Configurator 2 deployment.